Those of you who have human hair weaves, do you have a single weft on each row or do you double the weft? When you order virgin hair or human hair extensions, you may meet these two words, single drawn and double drawn. It’s very important to know the difference. So, how to choose the right one we need? Here we Evan Hair simply list out the main differences in the form for you guys. 1. First Off, Let Us Establish What Single Weft Mean? 1. Single drawn hair: The each bundle of hair is taken from one donor and then being placed in a weft. 2. The single drawn weft emulates the real hair we have. It is really thick at the root with some weathering and thinning towards the ends. 3. A single drawn extension is the most common extension type because of less work involved in processing and low cost. 2. Why Do Many People Want To Use Single Drawn Hair? For many people, they want their hair to be square-tailed, to be thick from head to tail, and they won’t assume that single drawn hair is a quality product. However, with other customers, they chose single drawn hair due to its natural finish. As you know, with natural hair growing from our scalp, each hair won’t grow differently. So the hair will have different lengths. That is why, with customers looking for a natural finish, single drawn hair is the perfect choice for them. Besides, the price of single draw hair is usually lower than that of double drawn hair or super double hair. However, if you want, you can also trim a little at the ends of single draw hair and hair can thicken significantly. 3. What Is Double Drawn Hair? 1. Double drawn hair extensions have shorter hair removed by hand, workers cut the hair ends by hands so the full bundle will remain the same fullness from top to bottom, then the hair will be sewn in a weft. 2. This process would increase the quality of hair extensions and can provide you with a fuller appearance. 3. Of course, you will pay more on double drawn hair extensions, the quality and volume are better, will certainly last longer. 4. Why Do You Want To Use Double Drawn Hair? 1. 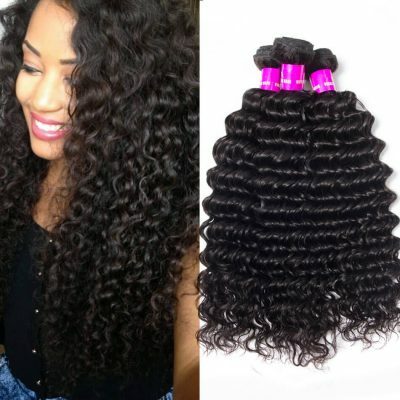 Double Drawn hair weave is the absolute best quality hair. The hair is arranged in equal lengths creating a very smooth and polished look. 2. Double Drawn virgin hair is more expensive for its produce, but I think it is worth to invest. Each hair is the same length, so you get thick, full hair from roots to ends. 3. Though you will pay more for double drawn hair, the quality, volume, and duration that the hair lasts you will far exceed single drawn hair extensions. I want to quickly explain the difference of them: Single Drawn and Double Drawn hair. We mainly tell the difference between single drawn and double drawn from the following aspects, hair ends, hair quality, hair lengths, hair collected resource, hair prices, and their benefits. Single Drawn hair: the hair extensions contain multiple lengths of hair, which will make the hair become thickest at the top of the hair, tapers at the middle and is thin on the ends. While Double drawn hair is all the same length from top to bottom.T he hair is thick and full all the time. So the double drawn ends are thicker. 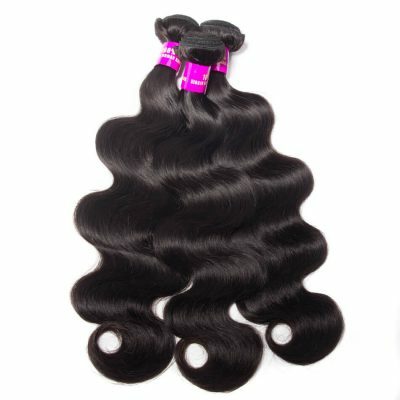 Double Drawn virgin hair is the best quality hair weave. The terms mean to a process that draws out all the shorter lengths from a bundle, then draws again to realign the top of each bundle. The hair is arranged in equal length to create a smooth and polished look. And this would crease the cost of hair as this procedure is done by hand. All human hair grows in cycles. While some are growing, some are dormant. This is the reason why there are so many lengths in a single drawn. Single Drawn Remy hair means only the shorter hair has been picked out, it always 2 or 3 inches. Therefore, if you had 18″length hair, some strands would be as short as 14, 16″. 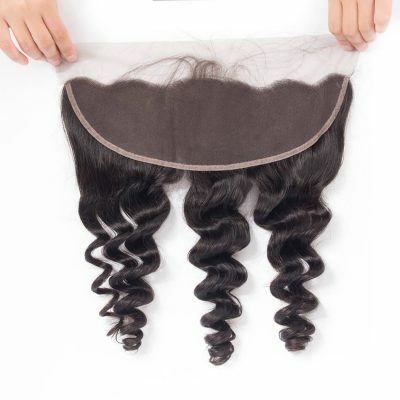 A double drawn hair weft is always made from multiple donor hair. It cannot be made from single donor hair. 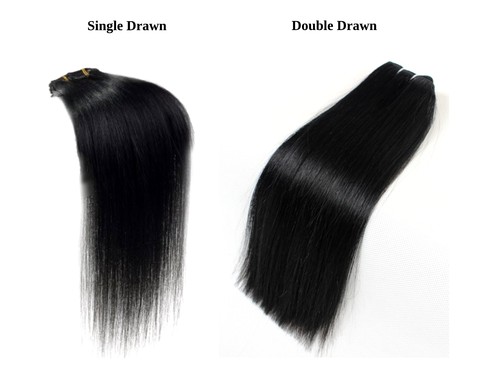 Most of the double drawn hair bundles look thick, and same thickness is available from top to tail of the hair bundle. Single drawn hair is the most common hair extension type on the market due to less work involved in processing and manufacturing, thus the lower price. 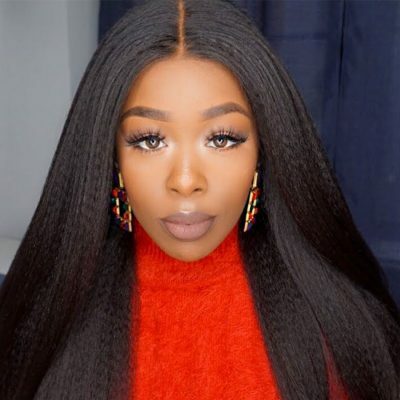 You will pay more for double drawn raw hair, but the quality, volume, and duration that the hair lasts you will far exceed single drawn hair extensions. 8.Double Drawn Hair & Single Drawn Hair, Which Is Better? So which is better? Well, that is up to you! No matter single drawn virgin hair or double drawn hair, they can be added to your hair to add length or volume. They are supposed to look natural. So, double weft vs. single weft, how to choose? 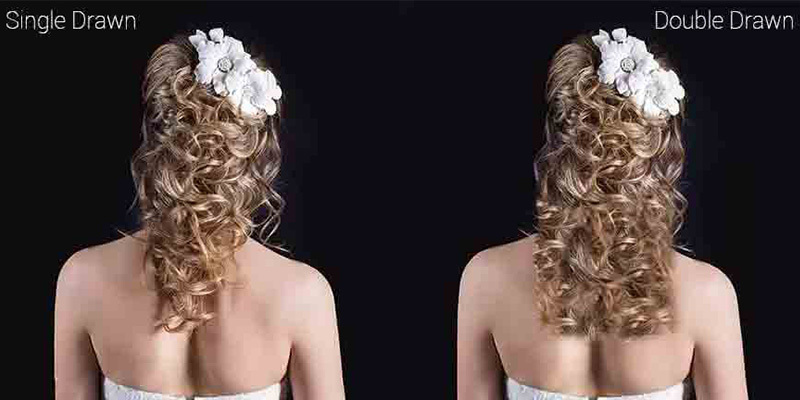 Which is best: Double Drawn Hair & Single Drawn Hair? 1. The single drawn hair extensions are less expensive than double drawn Remy hair. Single drawn is the most common hair type on the market due to less work involved in processing and manufacturing, thus the lower price. 2. Double Drawn extensions are more expensive but worth to invest for many people. Every bundle is the same length, so you can get thick and full hair from roots to ends. Moreover, It will last longer. 3. Many different factors will weigh into a selection of single or double weave Remy hair extensions. 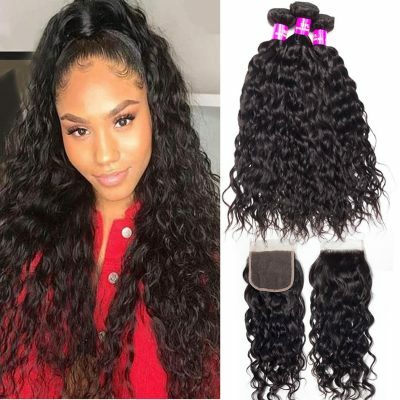 For example, some may prefer the single drawn weft hair because they come from one source and others will prefer the double drawn extensions because the multiple sources contribute to the look they most desire. 4. For girls who are looking for a natural finish where masses of the volume is not important, single drawn hair is a great choice. Equally, single drawn hair is often cheaper than double drawn hair; however, if you trim the ends up by a couple of inches, they can easily be thickened to give the same overall appearance as the more expensive double drawn hair. 1. Single drawn hair or double drawn hair does not represent the hair quality. Hair quality is always measured and specified by cuticles of hair. Based on whether the all hair strands in a bunch or bundle of hair retains its cuticles intact in the same direction or not, the hair quality is measured. 2. Hair with cuticles intact in the same direction is called Remy Hair. Remy’s hair is the real human hair which is best known for its easy maintenance and tangle free nature. 3. How to choose? It depends on the fullness you are looking to achieve. Usually, someone would like to double a couple in the back, and sides, and do the rest single. If you also want to be a little thicker, you can double that weft. 4. In my opinion, it depends on personal taste and what feels and looks good on you. With the thinner wefts, you may want to double up especially with longer lengths and also depending on the style and again what feels and looks good on you. 10. Where To Order Double / Single Drawn Hair Extensions? Find the high-quality hair extensions at evanhair.com, beauties. Evan Hair Double is drawn hair extensions supplier offers: best virgin human hair bundles, hair closure with a natural part, lace front wigs human hair and wholesale hair with big discount. Free worldwide shipping is on us!